In the Democratic Republic of the Congo, health officials are struggling to end a new Ebola outbreak - the tenth that has gripped the country since the virus was first identified there in 1976. At least 185 people have contracted Ebola since early August. Health workers say new medicines and the development of a vaccine are making the job of treating Ebola easier. However, the latest cluster of cases has emerged in an area where there is active fighting between the government and more than 100 different armed groups. For the past 24 years, conflict between armed groups and the government — or from inter-communal violence — has displaced millions of people. 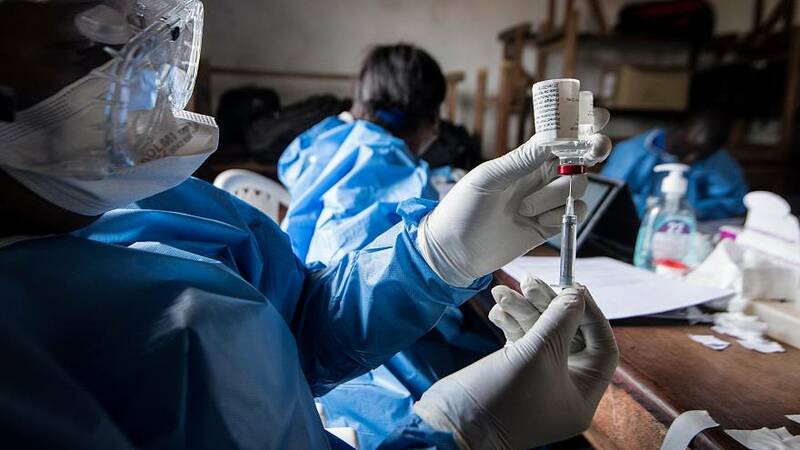 As Congolese and international health teams work to contain the latest outbreak, the World Health Organisation (WHO) says risk that the disease will spread elsewhere in region — and even to neighbouring countries — is “very high”. 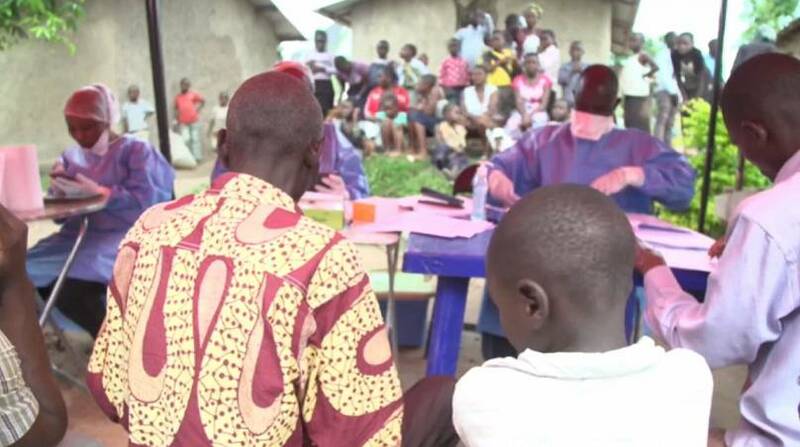 Doctors in Beni, at the heart of the outbreak, are treating new patients who have tested positive for the disease which is nearly always fatal. Among them are Janine Mbuka and her two sisters, who were admitted three weeks ago to the Alliance for International Medical Action (ALIMA) Ebola treatment centre at the city’s general hospital. Seven members of their family are already dead. “When mother died of Ebola we didn’t know what it was. We thought she was poisoned,” she says. New Ebola treatments are providing hope for patients in Beni, DRC. Ebola is spread through contact with bodily fluids. A new protected area known as a CUBE – a Biosecure Emergency Care Unit – has been set up, allowing additional health workers from outside to treat patients. “Whenever a small problem arises, we can easily be at the patient’s side within less than 10 minutes,” says medical coordinator Dr Oummani Rouafi. Just a couple years ago, there were no medicines against Ebola. But this year new experimental drugs are being used. “On one hand, you are incredibly nervous because not many people were given these drugs before and not many people have received them. But on the other hand, there is a sense of excitement and hope because for the first time we have something to use to directly fight against the virus,” says William Fischer, WHO Case Management Coordinator. There is also a new vaccine. Like the new medicine, it has not yet been fully approved by global health authorities. However, more than 15,000 people in the region have been vaccinated on compassionate grounds. The aim is to forestall an epidemic that could sweep across the region and beyond. However, other events pose an additional challenge. This part of the Congo is an active conflict zone. More than 100 armed groups are fighting for influence. 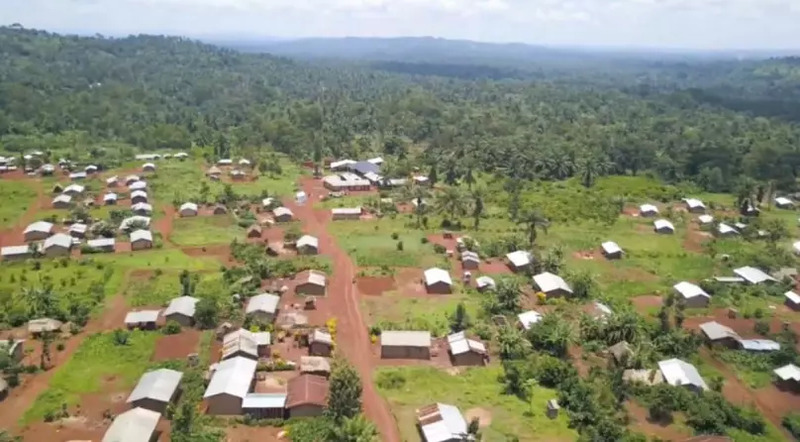 And Ebola has spread to neighbourhoods - like this one near Beni – where armed groups regularly operate. Beni lies in the midst of an active conflict zone. Less than a kilometre away, armed groups are fighting against the central government. During periods of intense fighting, this area is a no-go zone for health workers. Shortly after we left Beni came the second attack on the city by an armed group in a month. This time, 15 civilians were killed and a dozen children abducted. Because of the unrest, vaccinations and the crucial tracking of suspected Ebola cases were called off. Once again, with the fighting so close to Beni, many areas became too dangerous for health workers to access. So part of the response means training health workers who come from these areas, so that they can intervene even if they are on their own. “Local health workers are the first line of defence. All of the sick people who arrive, they come here first. So if these nurses don’t know how to protect themselves, they’ll be exposed to the disease,” said Dr Raphael Okum of the International Rescue Committee. Janine Mbuka celebrates being cured but more Ebola cases are still being confirmed. Back at the Ebola treatment centre in Beni’s central hospital, there is a moment of happiness. Doctors have the results of Janine Mbuka’s latest blood test – and it brings a burst of cheering and applause. Janine no longer has Ebola: after 22 days during which she came close to death, she has been cured and is free to go home. “I’m going to tell others how terrible this disease is, and encourage them to come receive care and get cured,” she says, smiling. However, her two sisters will be staying behind, for now. Janine says she plans on returning here every day until they too are well. Cases like this, when a patient is cured, provide small glimpses of hope – but sadly at the same time new cases are confirmed. And it’s still too early to tell in which direction this outbreak will go.